Web developers need somewhere to host their projects, and when looking for hosting, there are several options. Shared hosting, where you share a server with lots of other users and have very limited control over the server. Dedicated hosting, where you have complete control over a server; a very flexible option, but requires you to manage the whole server, worry about hardware failures and backups, and is typically expensive. Still not sure what a VPS is? Read this guide on VPS hosting. In this article, we cover 10 of the most popular VPS providers, giving details such as where their datacentres are located and what their prices start. 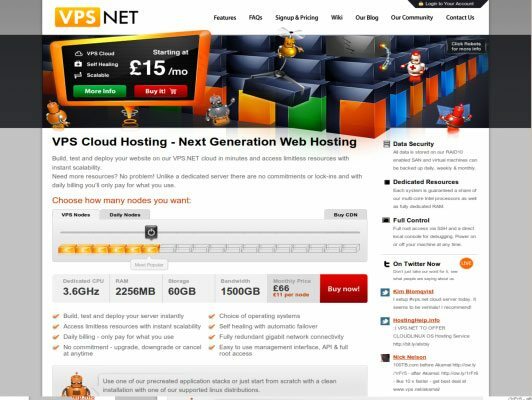 Another UK VPS provider is VPS.NET with a price point that starts at $20 for a VPS with 376MB RAM and 10GB of storage. They have UK and US datacentres, and their cloud storage allows automatic failover and scaling. Prgmr is a VPS provider that doesn’t “assume you are stupid,” implying that their services are geared towards developers that know what they are doing (or have the desire to learn on their own). Their 64MB instances start at $5 a month, and a 256MB instance will only set you back $8. Debian, Ubuntu or CentOS are the only officially supported OSs, but they’ll let you install your own, if you want. They even let you build your own kernel, which isn’t something you can do with most of the other VPS providers. 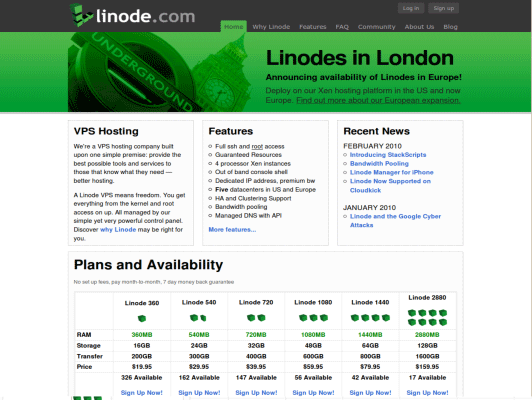 Linode is a popular VPS provider, and they’ve recently added a UK-based datacentre so users now have the option of a US or European-situated server. The cheapest plan starts at just under $20 a month and includes 360MB of RAM and 16GB storage. There are no setup fees, no contracts, and a slew of 32 and 64-bit Linux operating systems are offered. 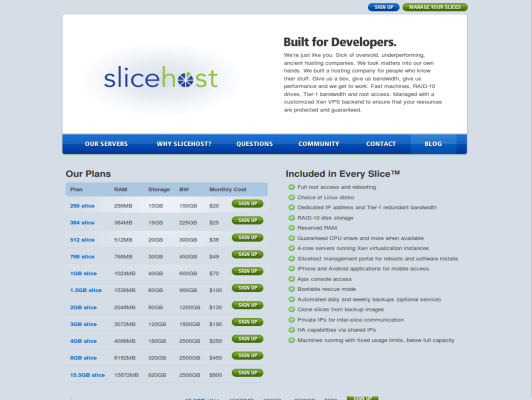 Built for developers, Slicehost has no contract period or setup fees. “Slices” start from $20 with 256MB of RAM and 10GB of storage. You can upgrade or downgrade your hardware at any point with minimal downtime. They currently only offer US datacentres. A truly global VPS provider with datacentres in the US, UK, Australia and New Zealand is RIMU Hosting. Prices start at around $20, and you can opt for billing in the local currency of the datacentre you chose. If you’re an open source developer, RIMU Hosting will discount your subscription as a way of giving back to the community. They also offer a discount of 10% if you require multiple servers. 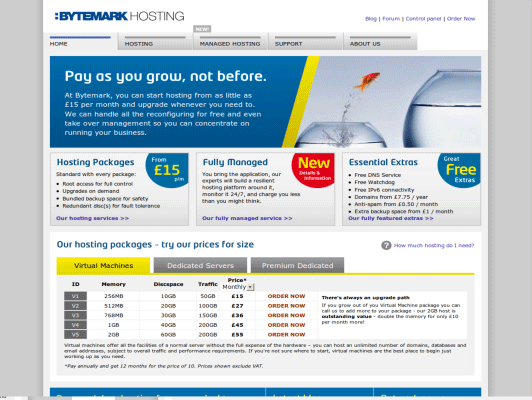 Bytemark is a UK-based VPS provider with datacentres in London. Prices start at £15 (around $22, American) for 256MB and 10GB of storage. Bytemark boast some impressive features that come as standard, such as redundant disks for fault tolerance, free server monitoring and IPv6 connectivity. 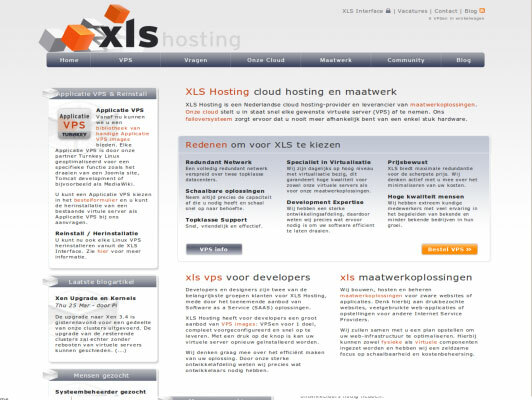 A cloud VPS provider, XLS hosting is based in the Netherlands. They have an extremely good value with their entry level VPS offering that starts at about $15 a month for 128MB RAM and 10GB storage. Self-described as “hosting for geeks”, Gandi gives you great bang for your buck, and even offers a free trial. Prices start at $13 for 256MB RAM and 8GB storage. Hardware upgrades are automatic, and they provide emergency support services. 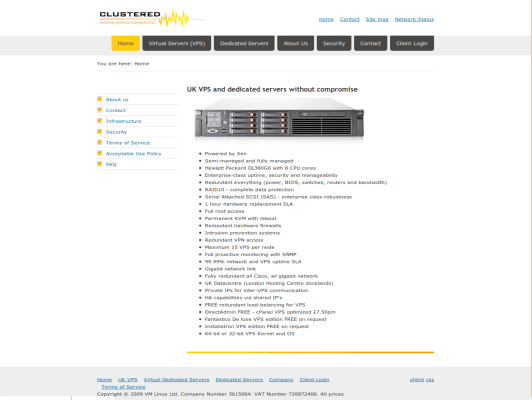 The UK-located hosting provider, Clustered.net, offers high-end VPS servers starting at 1GB RAM for around $34. Their VPSs come with multiple static IP addresses. If you have several VPSs with them, they will give you redundant load balancing at no extra cost. Full backups are performed daily and stored for 30 days, you get a choice between 32 and 64-bit operating systems. SuperBytes is a Canadian company with data centres in Canada, the US and the UK. 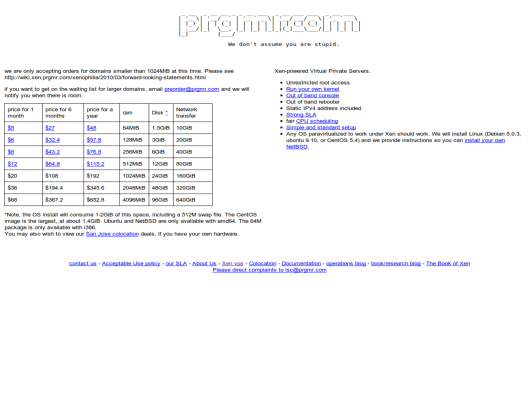 64MB VPS instances start at $6 a month. Do you use any of these VPS providers? 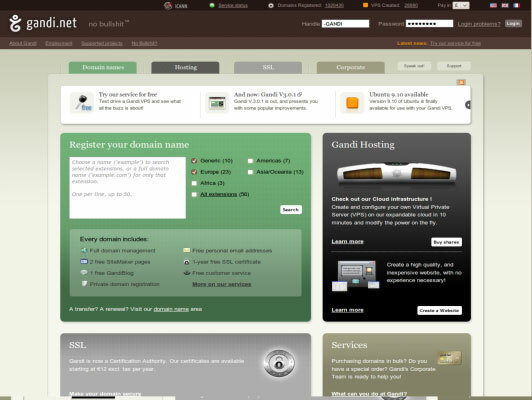 What’s your current web hosting set-up like?